University of Nottingham > Blogs > Off Campus > Advice > Good will to you and your community! Good will to you and your community! With the arrival of December, suddenly the festive season is in full swing, with mince pies and mulled wine at every turn. 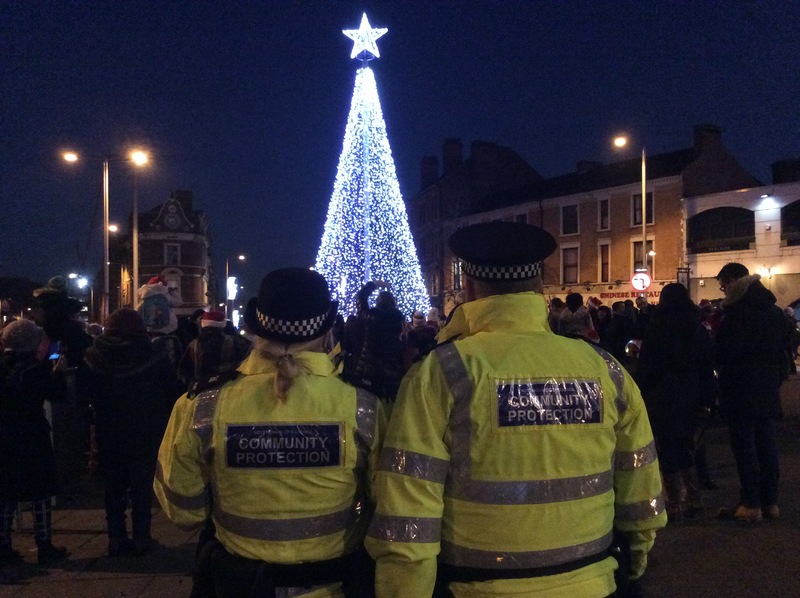 The image on the right was taken at Canning Circus last week at a fantastic event which saw Nottingham City Council officers, local Councillors, schools, Notts Police and the University (thank you BlowSoc, you were great!) joining together to celebrate the beginning of the festive season in style. If you’re planning to celebrate the end of term, we’d like to remind you to do so in a thoughtful way so that fun times for you don’t turn into a headache for your neighbours. Make sure that you respect your community by keeping the noise down while sharing in the celebrations. You can find helpful hints on being a good neighbour on our website, or follow @UoN_Off_Campus to keep up with off campus messages. The impact of being a good neighbour is one of the key strands of the fabulous Looking After Each Other campaign. Have a look into the campaign if you haven’t already heard about it. Doing a good deed before you go home at the end of term will make everyone involved feel really good! 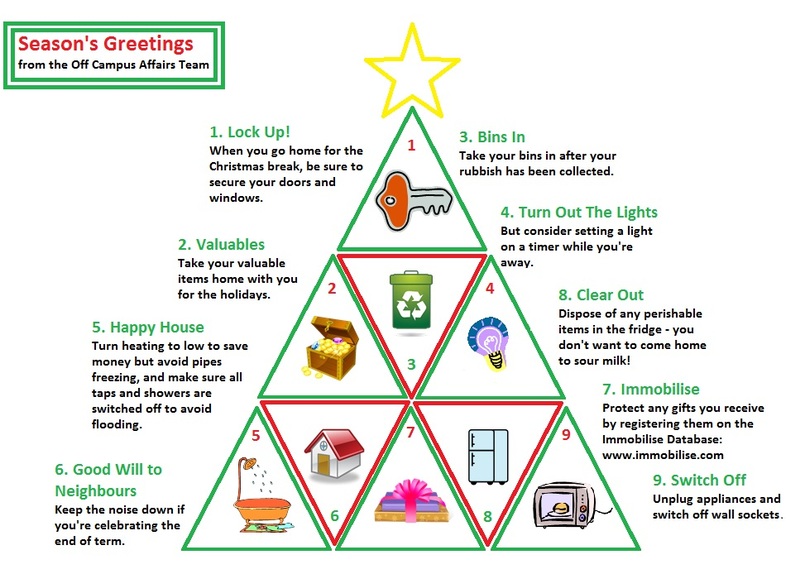 Before you go, have a look at our festive tree, filled with easy-to-follow advice to keep you and your neighbours happy, and safe at the end of term. Season’s Greetings! Advantage Award- PR Project Management module- apply now!